Westworld the HBO hit of 2016 was amazing. The episodes leading up to and including the season finale revealed the mystery of the season one of show. Spoiler, William aka The Man in Black storytelling takes place over 30 something years in a non chronological order seen through the eyes of the robot host Dolores. 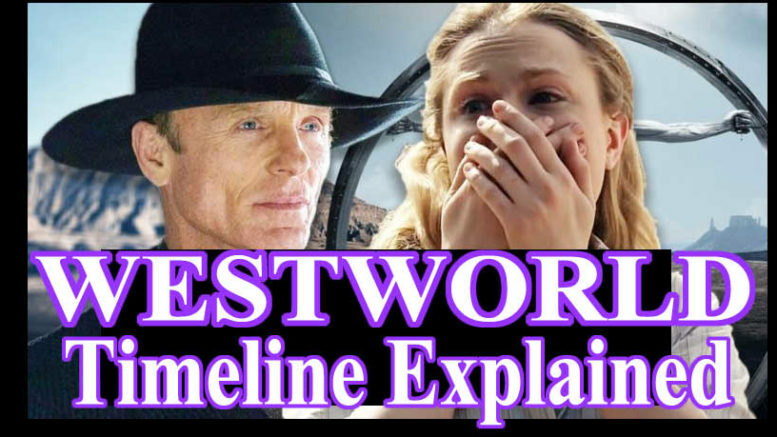 The Westworld timeline is between 2015 to 2052 according to this video.